World Wildlife Conservation Day is celebrated once every year on December 4. This annual international day is an event anyone concerned about the Earth’s ecosystem should be interested in. Below are some fun facts about this important celebration and its historical background. Hopefully the contents of this page will encourage us all to take action in support of ecological conservation. World Wildlife Conservation Day was founded in 2012 by the then US Secretary of State Hillary Rodham Clinton. One way to celebrate World Wildlife Conservation Day is by spreading awareness of endangered species. 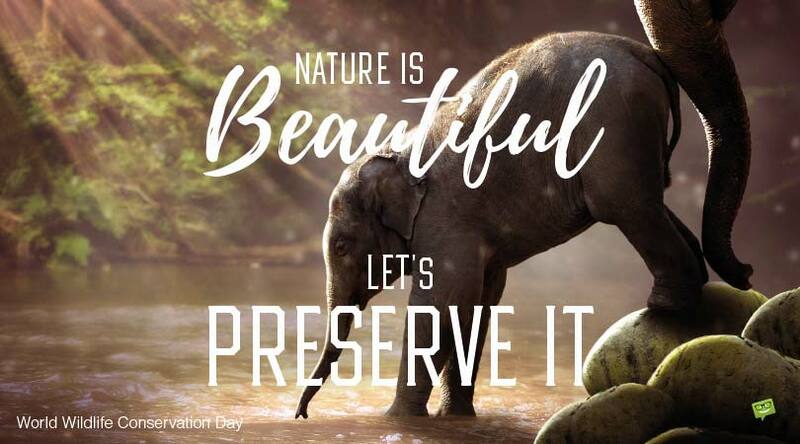 People can also commemorate it by donating to charities like the World Wildlife Fund (WWF) or other organizations dedicated to protecting wildlife. Every single penny donated to the WWF is used in training as well as giving the necessary equipments to rangers to protect wildlife. Interested individuals can also sign a petition to combat crimes against wildlife. There is also a pledge people can sign in support of World Wildlife Conservation Day. The world recognized World Wildlife Conservation Day for the very first time on December 4, 2012. Celebrations of the occasion are often held in animal-centric venues such as zoos and parks. World Wildlife Day holds a similar function as World Wildlife Conservation Day and is more popular. However, the latter began a year before the former, which was founded by the United Nations. Despite the great importance of this annual celebration, it began waning in popularity since Donald Trump took office as President of the United States. Many believe Trump’s policies are responsible for that. World Wildlife Conservation Day is partially responsible for policy changes pertaining to wildlife in major commercial organizations. The three endangered species this international day concentrates on protecting the most are elephants, rhinos and tigers. 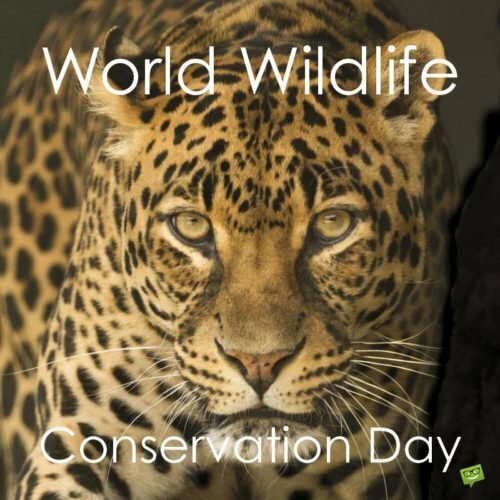 The official hashtag for World Wildlife Conservation Day is #WorldWildlifeConservationDay. 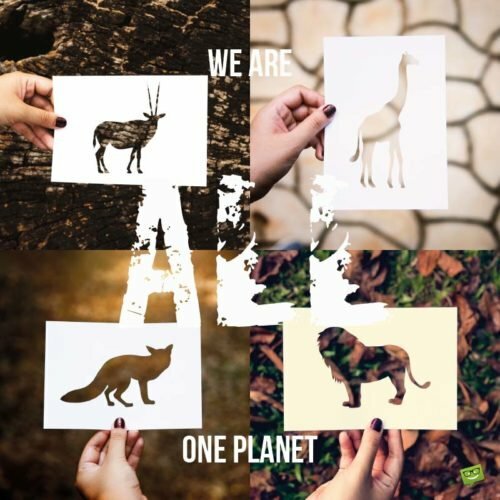 We are all one planet. In the last 50 years, the amount of animal wildlife in the world has been reduced by half. Although wildlife conservation efforts are centered in the developed world, global action is deemed necessary to make a meaningful change. World Wildlife Conservation Day is recognized in diverse locations outside of the Western world. Like any established secular observance, there is a commercial aspect to World Wildlife Conservation Day too. The main focus of World Wildlife Conservation Day is illegal poaching. That said, it is important to mention that the parts of the world most affected by illegal poaching are Africa and Asia. 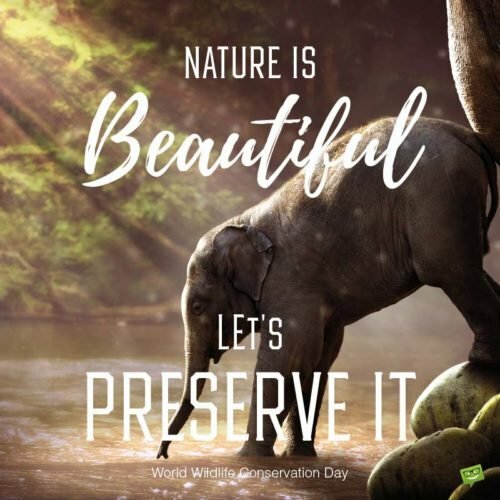 World Wildlife Conservation Day came about in 2012 as the result of US Secretary of State Hillary Clinton calling for concrete initiatives to curb wildlife trafficking. On November 8, 2012, as US Secretary of State, Hillary Clinton hosted a roundtable discussion at the U.S. Department of State. The program, which was entitled Wildlife Trafficking and Conservation: A Call to Action, focused on illegal wildlife trade and saw the gathering of numerous stakeholders ranging from ambassadors from various nations to conservation organizations across the globe. At the event, Clinton outlined a number of “calls to action” that the U.S. government (under the presidency of Barack Obama) had adopted to combat the menace of global wildlife trafficking. The event eventually led to the birth of the World Wildlife Conservation Day. 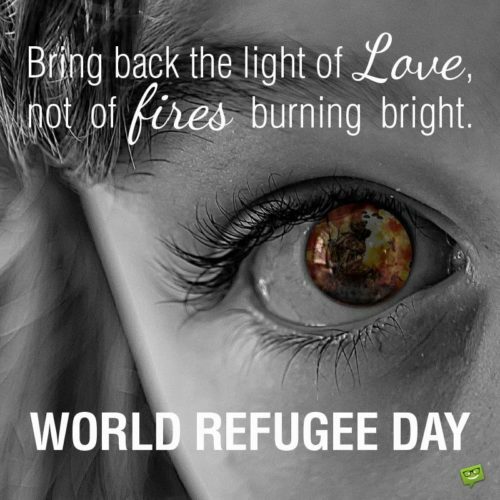 Today, this international observance day is celebrated annually on December 4th. The overall purpose of this day is to recognize “the global problem of wildlife trafficking”. The two main organizations behind the establishment of the day are the US State Department and the World Wildlife Fund. Nature is beautiful. Let’s preserve it.